The Liebers: Hillsong Kids cd, Can You Believe It? 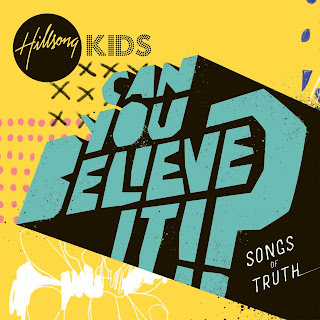 Hillsong has a brand new album aimed towards helping your kids love God more. Can You Believe It? is both a question and a challenge. Your kids will enjoy listening to and watching these fun music videos featuring lots of kids just like them! This collection, featuring both new and familiar songs is sure to delight kids of all ages...and their parents! You can buy a copy here or try winning a copy below!